OMG, I love this! 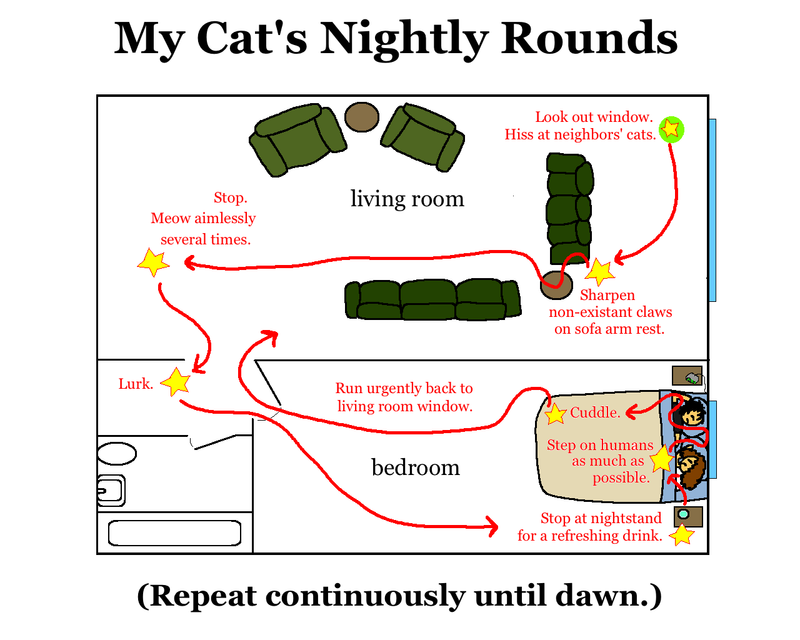 My favorite part is the illustration of your cat's nightly rounds. Seriously? you need to have this printed on greeting cards. I would buy 50 right this second. 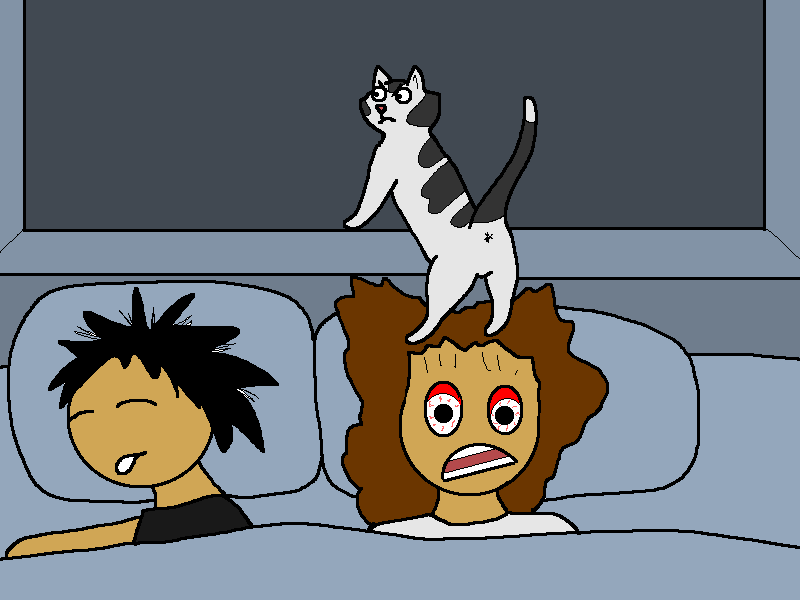 Have you ever thought about doing a book of some sort? Oh, my gosh, this is my cat, exactly! Including the 'shoop, shoop, shoop!' 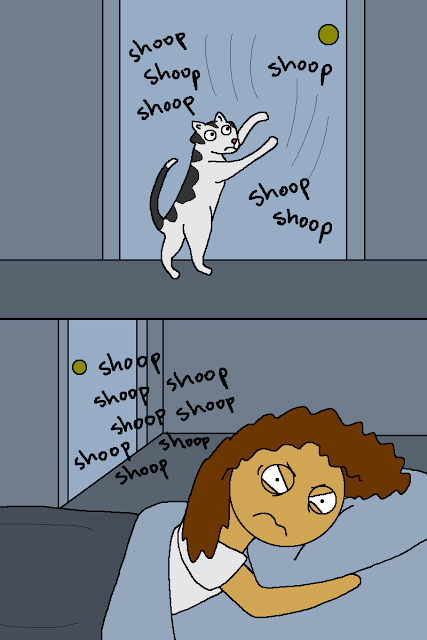 When my cousin was staying with me, he would laugh at how, every so often, I would toss the cats out of my room and slam the door. Then, a couple of hours later, re-open said door, on account of the shooping. Cats are evil little cutie pies! My cats do the same exact thing! And the cat that sleeps on my head licks my hair and my forehead (causing cat-tounge burns) and drools on me. 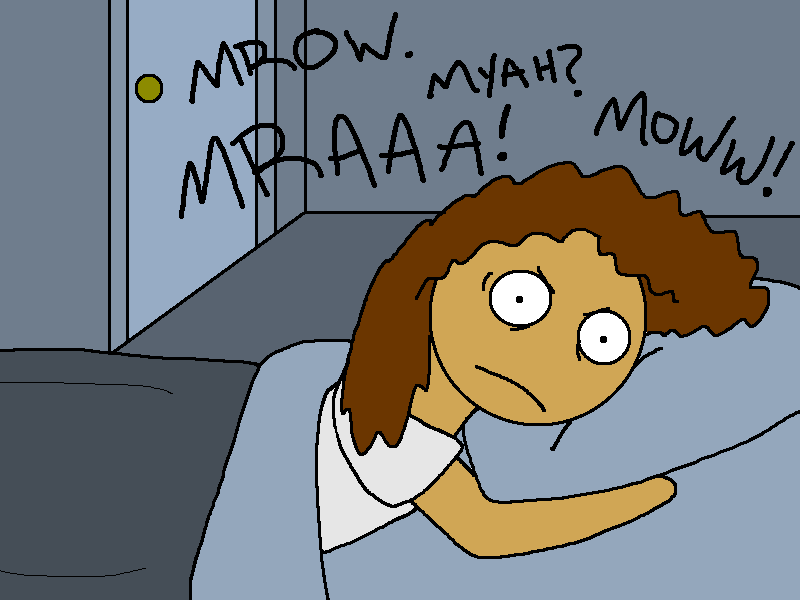 I know because the drool runs down my face and wakes me up. I feel your pain! 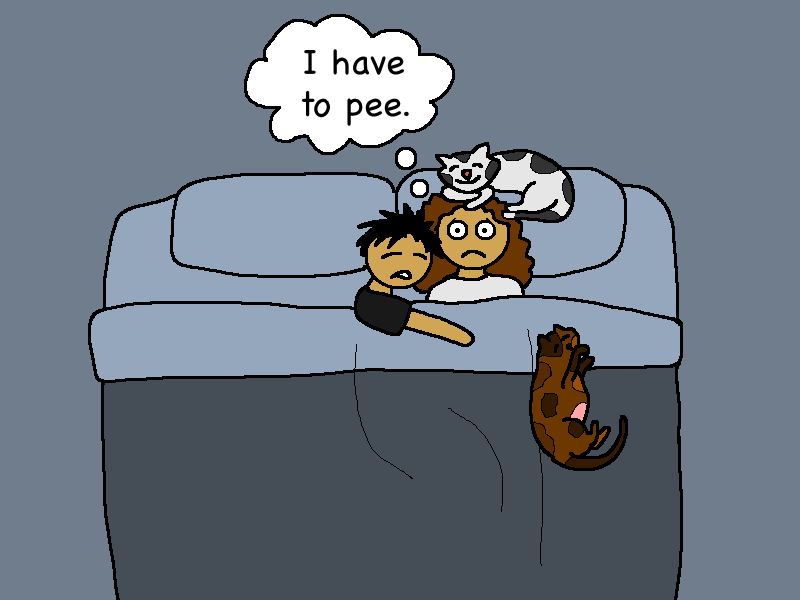 I used to have a cat. Now I have a dog. And he just freaks out and barks really loud for no reason in the middle of the night. Either that, or he snores. 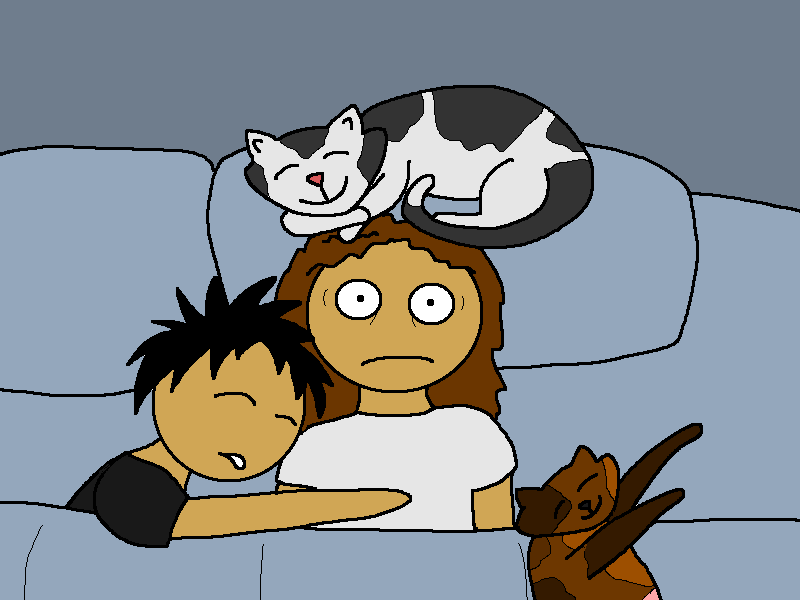 So yeah, animals don't make the best bedmates.